The Lamar Valley is literally where the deer and the antelope play. 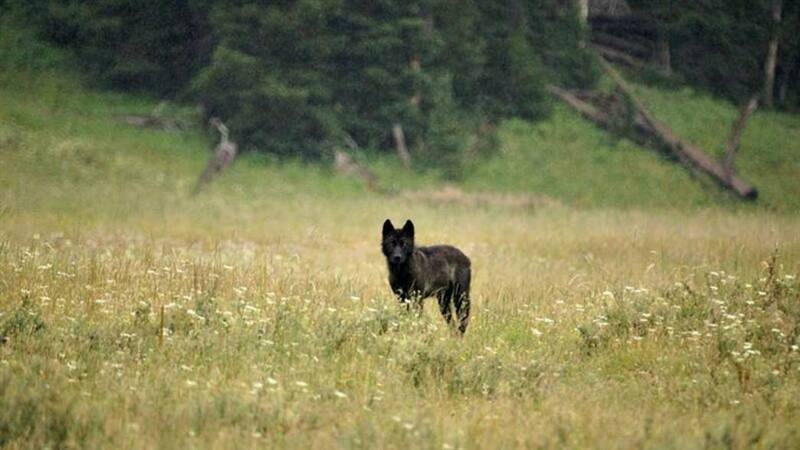 It is home to half of Yellowstone’s 4000 bison and is one of the easiest places to see the park’s famous wolves and grizzlies. 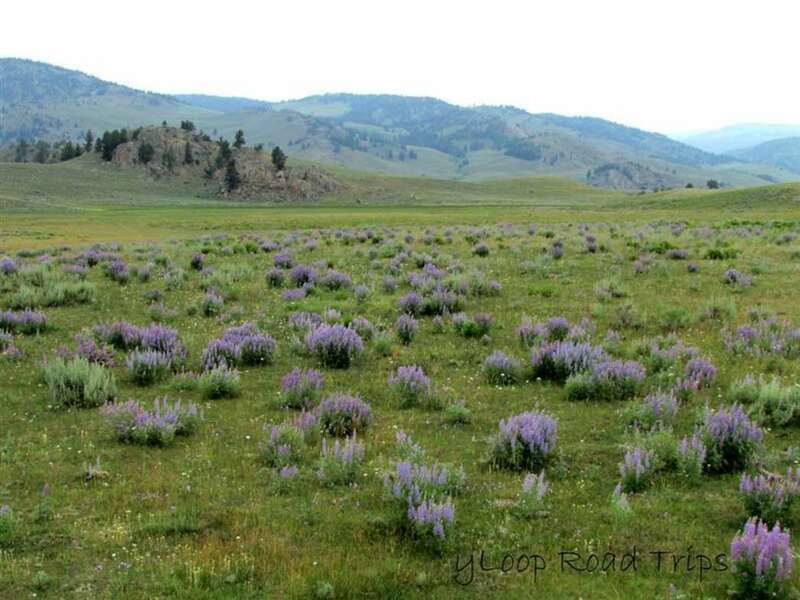 Varies, there are several trails in Lamar Valley. Varies, depending on which trail(s) you choose, but plan to spend a couple hours here. Wildlife photography in the Lamar isn’t a matter of what to shoot, it’s how much to shoot. Beautiful panoramas backdrop grazing bison in every direction, and if you’re in the right spot at the right time, you can get incredible photos of grizzly bears or wolves as they go about the business of survival. Even if you didn’t see anything more than a raven soaring the currents, the beauty of the Lamar Valley is worth the time spent there. There’s never a bad day because there’s so much to catch with your lens. Although most of the valley is flat with a minimum of plants over four feet tall, it’s very easy to miss the wildlife you’re there to photograph. Use the pullouts to park and scan the area with binoculars. Pay close attention to the transition zones, areas where the forest meets the meadow or the meadow meets the river. These are some of the best places to spot wildlife. Anywhere you see a large concentration of cars and folks with large camera lenses or spotting scopes, stop. Chances are they’ve got a wolf or bear spotted or are waiting for them to come back to a carcass. These folks are an excellent resource and generally very willing to answer questions or offer help. Anyone who even has a mobile phone with a camera is going to be shutter happy in the Lamar Valley. 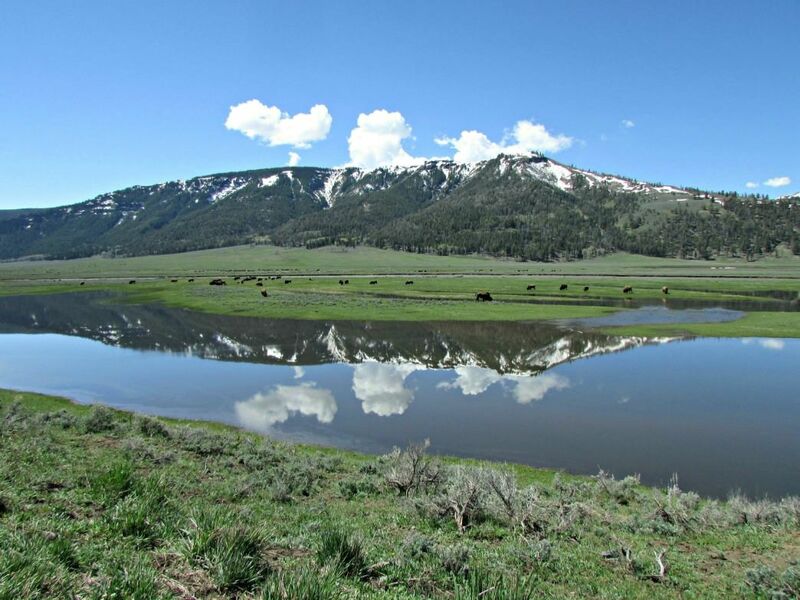 Incredible scenery, an astonishing array of colors, ever changing light and amazingly cooperative wild animals who wander down the road make this area one of the best loved of Yellowstone. It’s a photographer’s dream, whether professional or hobbyist. First light or towards dusk are the best times to drive the road. Spring and fall are better than high summer when the animals are snoozing away in the shade. “Red dogs,” the orange-hued gamboling baby bison are a photographer’s treat in early spring, while clashing bull bison or elk steal the show in the fall. While you’re touring the Lamar, be sure to watch close to the ground. Badgers often scuttle through the sagebrush, with coyotes and foxes slipping along looking for unwary ground squirrels. Take a moment to scan the few large cottonwoods for nesting Bald Eagles and watch for Golden Eagles hunting from the sky. You might get the photo of a lifetime of an animal you weren’t expecting. The Lamar Valley is accessed from the Northeast Entrance Road. If you’re on the Grand Loop Road, turn north at Tower Junction. There’s no food or water available once you pass Tower Junction until you reach the gateway communities of Silver Gate or Cooke City. If you leave the park, retain your park pass, otherwise you’ll have to pay again to re-enter. Vault toilets are sparse along the road. There’s little to no cell phone service. If you’re entering the park from the Northeast Entrance you’ll have to purchase a pass for $25 which is good for seven days. Some pull outs through Lamar Valley are larger than others. Do yourself and law enforcement rangers a favor. Pull completely over the white line when parking, and choose a spot that reduces resource damage. Even if there’s a grizzly bear, don’t block the flow of traffic. Surprisingly enough, not everyone wants to stop and gawk. Be respectful of the wildlife, and remember they are wild. Park regulations stipulate 25 yards between you and bison, elk or deer and 100 yards to any bears or wolves. That’s 4 Chevy Suburbans from you to a bison and 17 from a bear. It’s for the animal’s protection as well as your own. No picture is worth your life or the life of the animal you’re photographing.